120,000 with the master planned Ecco Ripley development starting construction on its first homes. Home designer Sekisui House has been selling off hundreds of lots from the Ecco Ripley development since the official launch of the in May 2014, with residents expected to start moving in within months leaving only a few remaining lots available. The Ecco Ripley development will see 4,000 additional residencies in the Ripley Valley as a part of the $500 million dollar urban renewal project. More than half of the lots released have been snatched up provoking the release of the next stage of homes. Ecco Ripley development manager Frank Galvin said in an interview with the Courier Mail that due to buyer demand the release of stage two had to be fast tracked with the final 14 lots recently released to the market. “This year we are gearing up to release stages three and four… it’s been an extremely good uptake and were bringing forward other stages to cater for the demand,” Mr Galvin told the Courier Mail. With most owner-occupier buyers belonging to Ipswich, the demographic has accounted for 70 per cent of buyers. Many features of the area are enticing buyers to the area, one such example is that the area now has a broadband network five times faster than surrounding areas like Springfield. Buyer Andrew Legget told the Courier Mail his house and land purchase in Ecco Ripley with his partner Nicole Wright was ideal because of the super-fast Wi-Fi which influenced his decision along with house and land affordability. “We’re living in Springfield Lakes at the moment and the internet is slow,” Mr Legget said in an interview with the Courier Mail. 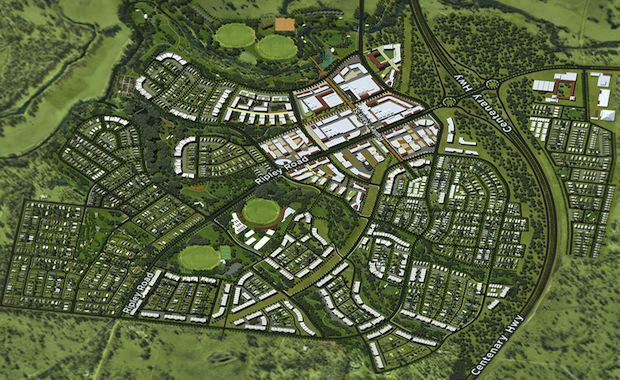 The Queensland Governments department of state development, infrastructure and planning website indicates that the Ripley Valley offers opportunities for further residential growth to meet the region's affordable housing needs.